MATT C. WALDROOP teaches Spanish in the Department of Modern Languages, Literatures, and Linguistics at the University of Oklahoma. His current project is a critical edition and an English translation of José Cadalso's Cartas Marruecas (Moroccan Letters). Lugubrious Nights has more in common with E.T.A. Hoffmann (1776-1822), Edgar Allan Poe (1809-1849), or José de Espronceda's El estudiante de Salamanca (1836) than with the charming and sentimental young Werther, who dies of unrequited love. 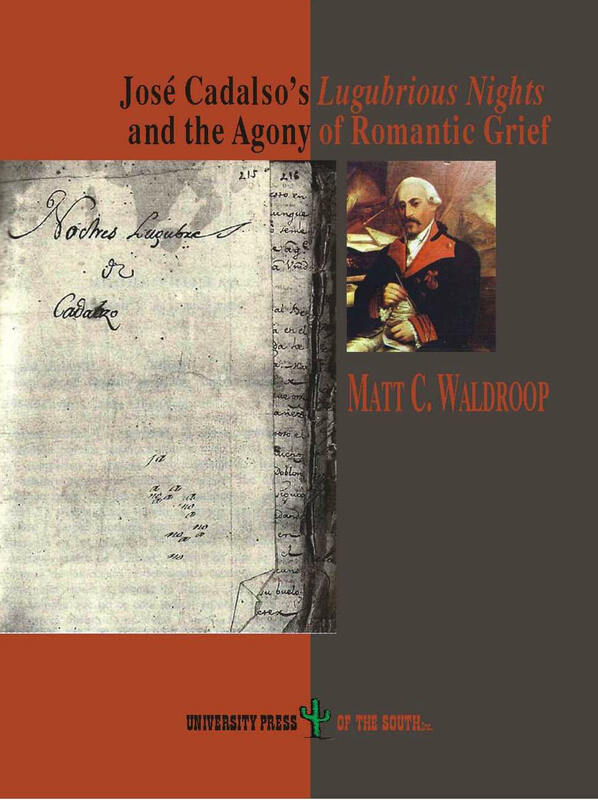 In other words, Matt C. Waldroop demonstrates without a doubt that José Cadalso's Lugubrious Nights is indeed not only the first Spanish but also the first full-fledged European Romantic work. A heroic death during the Spanish siege of British forces at Gibraltar in 1782 may have brought an abrupt end to the life of Colonel José Cadalso, but it did not still his ''voice of the heart,'' which lives on in the literary works he left behind. One of these, Lugubrious Nights (Noches lúgubres, 1771), which many consider to be the first true example of Romanticism in Spanish prose, is reprinted here in a collation of the earliest texts of the work, with a foreword by A. Robert Lauer, accompanied by a critical introduction and the first translation into English of this canonical work of Spanish literature. Also included is a facsimile of the famous and controversial ''Letter from a Friend'' of Cadalso, followed by its first translation into English. The author of ''Letter from a Friend,'' first published in 1822, makes the astonishing claim that Cadalso, in a fit of grief over the death of the actress María Ignacia Ibáñez, actually attempted, in the dead of night, to enter the churchyard cemetery in which she was buried, in order to exhume her corpse, mirroring the actions of his own protagonist in Lugubrious Nights. Although the truth of this rash deed has never been proven, the story alleged in the ''Letter from a Friend'' cemented Cadalso's status as an early icon of Spanish Romanticism.